With its museums, parks, restaurants, and shopping, Santiago has plenty to keep visitors occupied during their stay. But everyone likes to get out of the city once in a while, and Santiago’s prime location close to the Andes mountains, Chilean wine country, and the ocean, makes it easy to escape for a day. Whether your pleasure is hiking, spending a day at the beach, going wine-tasting, or exploring abandoned mining towns (a niche interest, to be sure, but a worthwhile one! ), these six easy day trips from Santiago are great ways to get to know the landscapes, culture, gastronomy, and history of central Chile. 1. 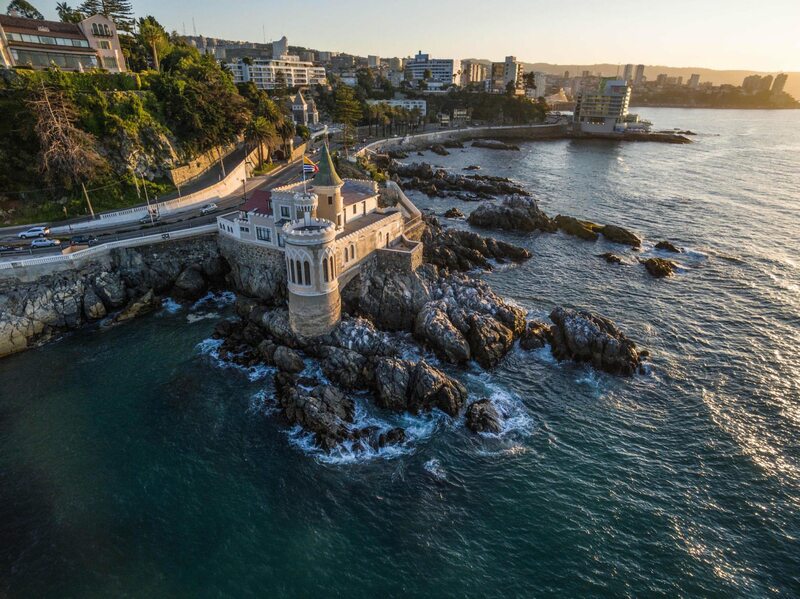 Valparaiso and Vina del Mar – The Pacific Ocean is a convenient hour and a half from the capital, so if you’re looking for fresh seafood, beautiful harbor views, and a chance to mix beach fun with learning about Chile’s history, check out these two seaside towns. In Vina, one of central Chile’s most famous resort towns, it’s all about the party: spend the day sunning at the beach, visiting the famous Flower Clock, exploring museums like Castillo Wulff and the Fonck Museum, or trying your luck at the casino. Then, grab a colectivo (local taxi) to go ten minutes away to Valparaiso, the jewel of the Pacific and Vina’s gritty, bohemian counterpart. Here, historic funicular elevators carry you up the hills to see the city’s famous houses, which are painted vibrant colors and splashed with some of South America’s best street art. A great city for meandering, explore Cerro Alegre and Concepcion for the best examples of classic Valpo architecture and street art, as well as cafes and shops, and then head to La Sebastiana, Pablo Neruda’s quirky home on Cerro Florida. Then finish the day with a meal at one of the city’s many excellent seafood restaurants; the paila marina (seafood stew), chupe de jaiba (crab pie), or the fresh catch of the day (fish or otherwise) are always great picks. 2. 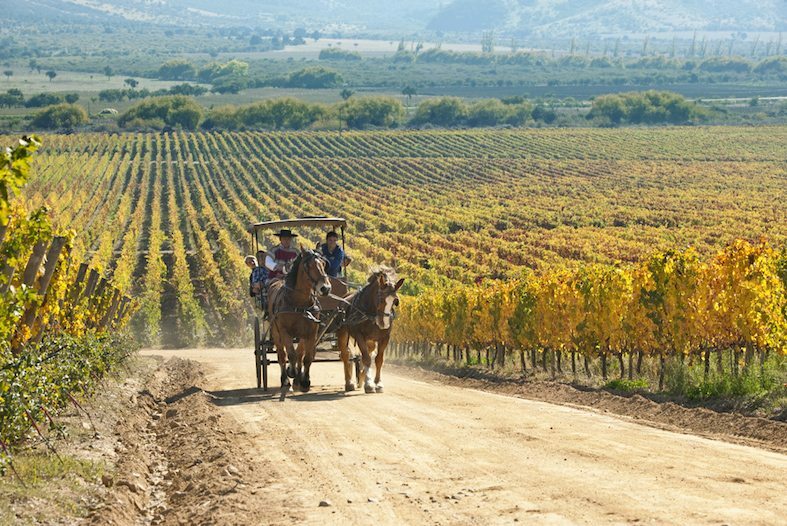 Chilean wine country – If you’re a wine lover, lucky you: Santiago is just a quick drive from several of Chile’s finest wine valleys, namely Casablanca and Colchagua. Here, surrounded by undulating mountains and valley floors covered in row upon row of bounteous grapevines, some of the country’s finest wines are grown and made, such as Carmenere, Cabernet Sauvignon, and Chardonnay. Spend a leisurely day visiting local wineries like Clos de Apalta in Colchagua or Bodegas RE in Casablanca, where you’ll learn about the history of winemaking in Chile, as well as each vineyard’s unique wine-making processes, explained on behind-the-scenes tours led by expert vintners. Each tour is then followed by tastings of some of the vineyard’s most exemplary vinos. Salud! 3. 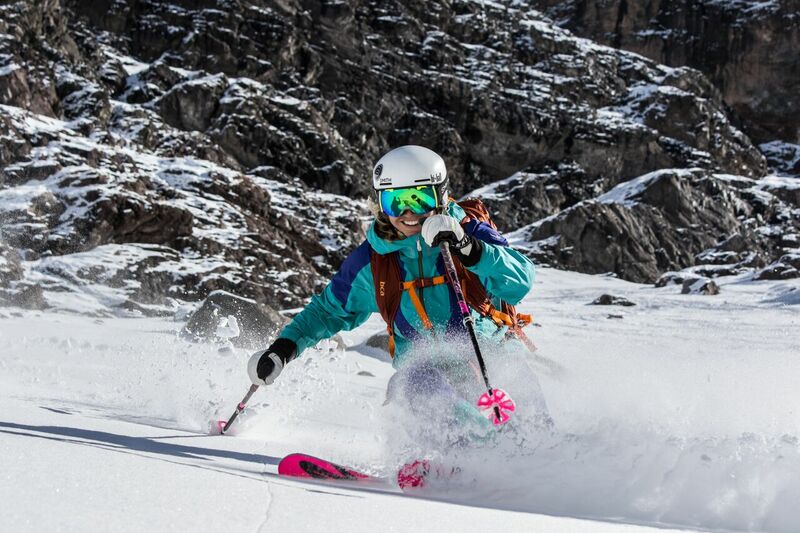 Skiing in the Andes – With epic pistes and stunning views across the rooftop of South America, some of the world’s best downhill skiing is found right outside Santiago in the Andes Mountains at Valle Nevado and Portillo ski resorts. Although both resorts have great onsite accommodations and amenities like restaurants and ski in/ski out service, their proximity to Santiago (Portillo is located about 2 hours away, Valle Nevado roughly 90 minutes) makes it super easy for you to stay in the city but spend your days hitting the slopes. Both resorts annually get around 24 inches of snow and have a combined total of 79 runs (groomed and off-piste), as well as lifts, a variety of slopes suited to everyone from beginners to advanced, rental stores, and sites for heli-skiing, snowboarding, and freestyle. 4. Cajon de Maipo – Where can you go hiking, rafting, fly-fishing, rock climbing, horseback riding, or just enjoy pure nature within an hour’s drive of Santiago? The answer is Cajon de Maipo. 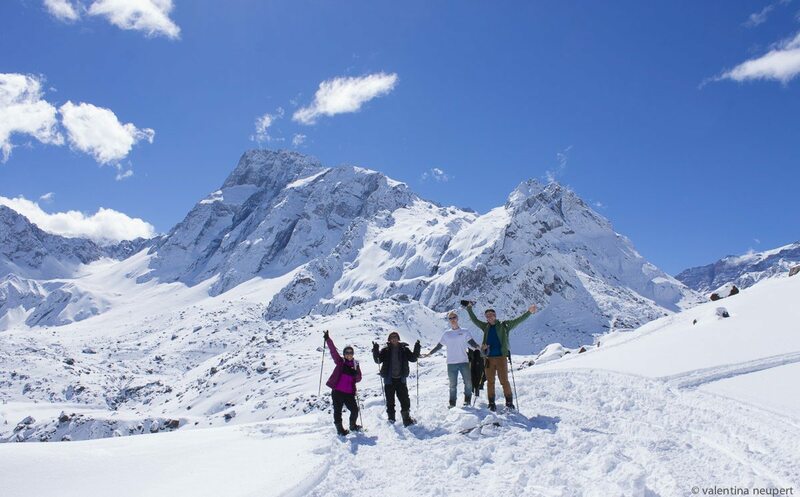 This mountainous valley to the southeast of the city is a paradise of peaks, rivers, lakes, forests, volcanoes, and glaciers, making it the ultimate outdoor adventure playground. Popular activities include treks to the El Morado and San Franciso glaciers, visiting the El Yeso reservoir, relaxing at the Plomo or Morales natural hot springs, rafting on the Maipo river, hiking to the Yeso waterfall, and exploring small towns like Pirque, where some of Chile’s best Cabernet Sauvignon is grown and produced. The area is also famous for its homemade goods, like chocolates, pastries, and empanadas, and is a great place for souvenir shopping thanks to its fine artisan shops. 5.La Campana National Park – For an easy day trek near Santiago that isn’t in the Cordillera, La Campana is the best option for its epic views and wealth of flora and fauna, like the Chilean Wine Palm, an endangered species of palm tree that used to grown all over the country but now only exists in small pockets. 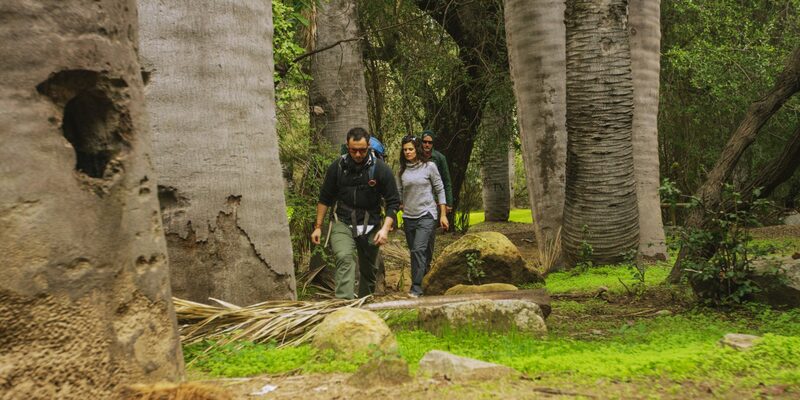 Famous for being the site of Cerro La Campana (Bell Mountain) which was scaled by Charles Darwin in 1834, this national park and UNESCO Biosphere is flush with local wildlife including foxes, pumas, birds, chingues (skunks), and butterflies. The hike up features beautiful views of the countryside, plus a chance to visit a nearly hundred-foot tall waterfall and a plaque dedicated to Darwin’s hike. If you want to make it to the summit at more than 6,000 feet above sea level, you’ll be treated to breathtaking views of the surrounding valleys and mountains, and on clear days, you can see as far as the Pacific Ocean in one direction and Aconcagua Mountain in Argentina in the other. 6. Sewell Mining Town – Known as the City of Stairs, this UNESCO World Heritage Site offers a fascinating glimpse into Chile’s long-standing tradition of copper mining. Founded in 1905 by the Braden Copper Company which owned and operated the El Teniente Copper Mine (the largest in the world), this city, which at its peak housed 15,000 mine workers and their families, was built into the steep slopes of the Andes at more than 7,000 feet above sea level. 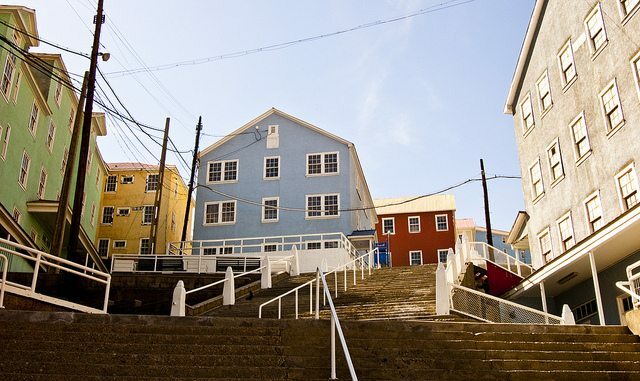 This made it inaccessible by vehicles, and so the brightly painted buildings of the town, terraced up and down the rugged slope, are all connected via stairways. Closed in the 1970s, it was saved from demolition by the Chilean government and then UNESCO, and now can only be visited on private tours. Located about two and a half hours from Santiago, it’s a bit more of a hike than most other day trips, but is well worth it for the fascinating glimpse it offers into historic Chilean mining towns.